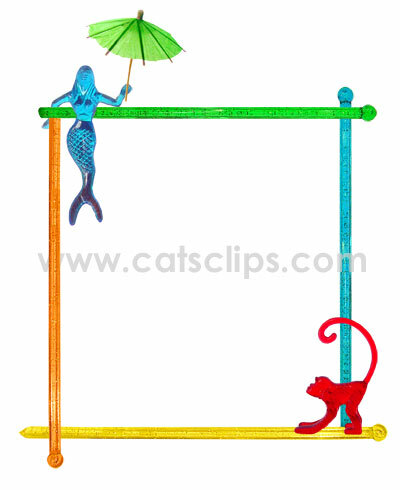 Colorful plastic drink stirrers make a perfect perch for a martini mermaid and cocktail monkey. This border is perfect to make your pool party invitations. White outside the border with a transparent center. PNG. PNG border on a transparent background.